The average price for this game in the past 6 months is $23.99. The game first became 50% off on Mar 2, 2018 at Steam Store. 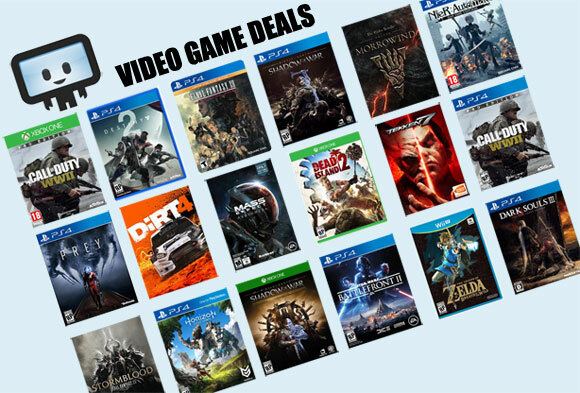 Lowest historic price was $23.99 on Mar 26, 2019 at DLGamer. GMG is running a 24 hours only flash sale on NieR Automata for only $24 and change. The DLC pack is also available at a close 59% off. We're pretty sure GMG is simply selling their remaining NieR keys. This is essentially near historic low prices and if you missed out on the previous $24 deal - this is as good as it'll get until Winter Sale rolls around. NieR returns to historic low of $24 yet again in a limited time coupon + instant savings promo at GMG. If you missed out on the previous 60% off offer, this is your second chance until later tonight. Best price in months on NieR: Automata at Green Man Gaming with a 60% drop to $24. A fast food meal at least in savings being $36 off the $60 Steam price. New historic low price on NieR: Automata for the PC, finally hitting the 50% off price point thanks to this weekend's Square Enix publisher sale at Steam Store. The game isn't bug free, but if you game on the PC and you want some NieR, this is the cheapest the game has been. New historic low price on NieR: Automata thanks to a 35% price cut from Steam Store. If you still haven't give the game a try, this seem as good of a price as any. Though personally we'll wait to see if third party retailer introduce a more competitive price, or wait and see if Square Enix ever gets around to patching this excellent title. $20 NieR: Automata = cheapest ever NieR. If you own a PS4 and don't have this game. You should remedy that situation this Black Friday season. Act fast as it WILL go out of stock. The average price for this game in the past 6 months is $24.99. The game first became 50% off on Sep 30, 2017 at Walmart. Lowest historic price was $19.99 on Nov 19, 2018 at Best Buy. With PC's Square Enix sale on Steam Store coming to an end, the promotion has moved over to PSN Store. Until next week, you can pick up the PS4 Download copy of NieR Automata for essentially half off its original list price. NieR: Automata is one of those games that just doesn't go on sale enough even though it's been released for almost a year now. GameStop has it back on tap for 40% off at $30. Shipping is free if your order is above $35 (or you can simply head to your nearby GameStop). Asleep during Black Friday weekend? No worries, GameStop has NieR: Automata on tap for 50% off once again with free shipping. If you game both on the PC and PS4, this is the version of the game to go for. Hell, it's not even on sale during various PC Winter Sale so the $30 physical PS4 copy is the better pick by far. If you missed out on the Black Friday deals for Nier Automata, it is 50% off currently at GameStop. This is the best price online as of writing and should be as good as it'll get before Xmas. NieR: Automata is now $35 at GameStop, Amazon, and of course Best Buy. This means those with GCU can now stack on additional savings and grab the game for only $28 - making it the lowest ever price available since its release earlier this year. The average price for this game since released is $10.18. The game first became 50% off on Oct 11, 2018 at Green Man Gaming. Lowest historic price was $5.67 on Oct 11, 2018 at Green Man Gaming. Need more NieR content? The latest DLC gets you an arena mode, neat outfits and more gameplay. GMG has it for 18% off at $11.47. Steam key. An arena mode, extra outfits, and a few more extras in the $14 3C3C1D119440927 DLC pack for Nier:Automata. Best price is GMG with an 18% price break to $11.47.